In Part 2 of our best lenses for the Canon EOS 5DS R review, we’re looking at the best optics for travel, wildlife, portrait and event photography. Whether you’re looking for a versatile zoom for weddings, a prime for the best quality portraits, or a professional sports and wildlife lens, we’ve got all the data you need. So let’s analyze the scores in five different categories — short telephoto prime, long telephoto prime, “fast” telephoto zoom, “slow” telephoto zoom, and super-zoom — to discover the best-performing lenses in each group. Launched side-by-side, the EOS 760D and EOS 750D (a.k.a. T6s and T6i in North America, respectively) share a lot in common, including the same high-resolution 24.2-Mpix APS-C CMOS sensor, complete with Canon’s Hybrid CMOS AF III for fast and accurate focusing. 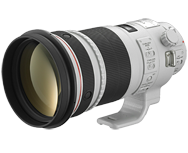 We’ve put the two models through our lab tests, along with a wide range of native and third-party Canon-mount lenses. Read on to find out how these models perform. In Part 2 of “Best lenses for the EOS 7D Mark II,” we’re looking at the performance of primes on Canon’s flagship APS-C sensor.We’ve analyzed over 300 fixed-focal-length lenses on the EOS 7D Mark II, including own-brand Canon EF and EF-S lenses that are designed specifically for use on the Canon APS-C sensor. Covering a range of third-party alternatives as well, our comprehensive analysis will help you pick out a prime, whatever your photographic needs. Zeiss Otus 85mm f1.4 Apo Planar T* Canon ZE and Nikon ZF.2 mount lens reviews: World’s best performing 85mm portrait lens? Launched a little over 2-years ago, the first Zeiss Otus model was a triumph in optical and mechanical perfection, and now Zeiss has added a second model to the range, and high speed 85mm with a heady mix of six anomalous dispersion glass elements, one asphere and a floating system to reduce aberrations at close range. Read on to see how well this new exotic model performs. With a full-frame 18-Mpix CMOS sensor and twin Digic 5+ processers that’s capable of continuous bursts of up 12 fps – the fastest of any professional DSLR currently - the Canon EOS-1 Dx is the firm’s flagship press camera. We’ve assessed it with over 100 EF mount lenses, to see how well they perform. Read on to find out which models are the best optically and which, if any, you should avoid. After analyzing the performance of the new Zeiss Otus 1,4/55 in Nikon mount we’ve had the opportunity to do the same with the ZE (EF) mount version. Read on to find out how well this fast standard lens performs. Introduced in July this year, the EOS 70D at first sight seems like a regular update to the maker’s mid-range EOS 60D model. It shares a number of features with the firm’s existing SLR range including a 19-point cross-type phase detection AF system, a 3-inch (1.040M dot) articulated touchscreen and built-in WiFi connectivity with remote viewing and image transfer. The camera can also shoot at up to 7fps and has 1080/30p video recording with stereo sound using an optional external microphone.